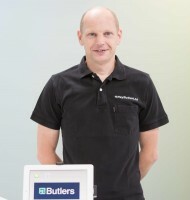 Butlers is a family owned private limited company. Established in 1959, it is one of Lincolnshire’s oldest electrical contracting companies with an enviable reputation and long list of credentials. 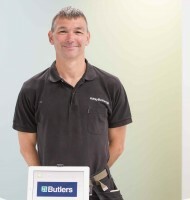 Butlers has been NICEIC registered for over 45 years, is a proud active member of the ECA (Electrical Contractors Association) and is JIB registered. 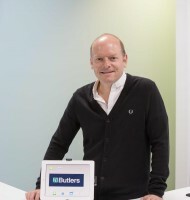 The company has achieved Constructionline registration, CHAS accreditation, Trustmark approval, and more recently Butlers has gained Department of Transport OLEV accreditation to install electric vehicle charge points for both the Home Charge Scheme and the Work Place Charging Scheme. All our electricians are fully qualified and highly experienced in all areas of electrical installation work, testing and maintenance. Our clients can be assured of extremely high standards, superior installation work and safe systems of work. Our accreditations allow us to legitimately carry out work on public buildings including schools, libraries, offices, police stations, fire stations and children’s homes and our dedicated team of electricians are DBS checked. 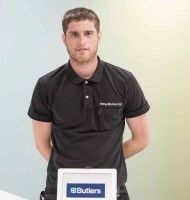 Butlers is also a member of the NICEIC Domestic Installer Scheme for compliance with Part P of the Building Regulations which came into force in 2005. From our offices, stores and retail showroom near the Enterprise Park in Sleaford, our fleet of 15 company owned vehicles and directly employed qualified operatives serve Sleaford, Lincolnshire and beyond. Our vehicles are equipped with sophisticated tracking systems allowing us to direct the closest engineer to breakdowns as and when they happen. We have close working relationships with the best reputable local builders, architects, industry and commerce and both public and private employers. We strive to provide an excellent service to all our clients. We offer a complete in-house service for our customers from the initial electrical design, the installation and testing / certification on completion. We offer after sales care, maintenance and emergency call out options. Matt completed his apprenticeship with GEC Marconi Electronic Devices in Lincoln and studied Electrical and Electronic Engineering at North Lincolnshire College and Bath University (where he met Kate!). Matt enjoys his gadgets and spends far too much time fiddling with iPods and iPads. He plays guitar and drums, listens to Morrissey, drives a Sinclair C5 and a Vespa Scooter, and has built a full size Dalek. Kate joined the company in 2001 and is Company Secretary. Kate is married to Matt who she met at Bath University in 1990 and their two very active children keep them busy in their spare time! Kate is a District Councillor and a member of the Sleaford Rotary Club. To relax, she loves running, cycling with the Sleaford Wheelers, playing the flute, walking her dog Elvis and baking cakes! Stuart joined the company as an Electrician in 1991 and is now a Technician, the highest JIB grade for an Electrician, NICEIC qualified supervisor and Operations Director. Stuart is married with 3 children and loves being at home. He also likes to go on bike rides in the countryside and enjoys tinkering with his 1971 VW Beetle. Liam joined the company as an Apprentice in 2006 and is now an Approved Electrician. Liam is currently renovating his third house and is planning on moving in with his girlfriend next year. In his spare time, Liam enjoys playing golf and fishing. He also enjoys eating out and going to the cinema and socialising with friends and family. 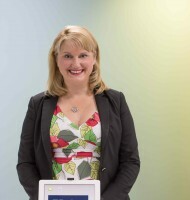 Sally joined the company in 2010 as an Office Administrator and is now Office Manager. In her spare time, Sally is involved in the local Sleaford netball club. She helps to coach at the local primary school. Sally is a qualified netball umpire. Sally favourite place is Woolacombe in North Devon and got married there in 2016. Gerry has worked at Butlers practically all his working life. 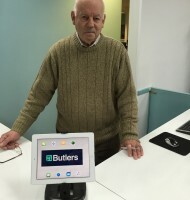 He worked with Ray Butler at John Bell Engineering before Ray Butler Ltd was formed in 1959 and continued to work with Ray Butler Ltd until Ray’s retirement in 1990. Gerry then bought the company and managed it with his wife Ann until they retired in 2001. Their son Matt and daughter-in-law Kate then bought the company but Gerry still works there 2 days a week. Gerry spends the rest of his time carving masterpieces out of wood, driving his Austin 10 and picking up bits and pieces at Auto Jumbles. Dave joined the company as a Mature Apprentice/Adult Trainee in 2007 from a military background and is now an Approved Electrician. Dave is an active member of Sleaford Striders Running Club, competing in muddy assault course races, spending time outdoors either walking his dog Bonnie or on his mountain bike. 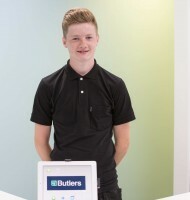 Lewis is Liam’s brother and joined the company as an Apprentice in 2011 and qualified as an Electrician in 2015. Lewis enjoys playing football and is a keep Liverpool supporter. He often trains in the gym too. He would love to travel the world one day. March 2018 - Lewis has just returned back to us after spending 6 months travelling around Australia. 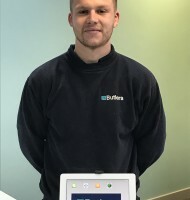 Luke joined our company in 2012 as an Apprentice, and qualified as an Electrician in 2017. Luke followed in his Grandad, Pete Jenkins' footsteps who worked with the company from 1979-2015. Luke likes to watch cricket with his Grandad and go out with his friends. 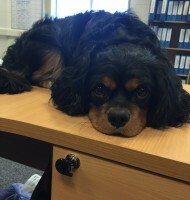 Ollie joined the company as a mature apprentice in January 2015. In his spare time, he likes kayaking, camping and watching football. He also enjoys going to the gym. 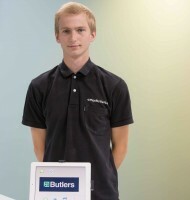 Daniel joined the company as an Apprentice in July 2015. He is a keen sportsman and a member of Ruskington Rovers Football Club. David joined the company as an Electricians Mate in November 2016. David enjoys watching rubgy, he also likes to work out at the gym. Elvis is in charge of sniffing and barking. You will find him sitting on the window ledge in the office. Be warned if you arrive in a high vis jacket or flat cap...!!!!! We are committed to the future of the industry and constantly recruit apprentices. Our electricians enjoy BUPA health care and JIB rates of pay and conditions. The company is committed to safety and staff undertake a rolling training programme in all aspects of Health and Safety including: manual handling, safe use of ladders, PASMA tower training, working at height and ladder training, harness training, abrasive wheels training, access equipment IPAF certification, asbestos awareness, emergency first aid at work etc. The Operations Director holds an IOSH Managing Safely certificate. As part of an ongoing commitment to health and safety, the company has invested heavily in equipment to reduce individual risk including the issuing of new personal ladders and steps to each electrician, all necessary PPE, two portable scaffold towers, personal harnesses and our very own Lola maintained powered access equipment including a NiftyLift “cherry picker” and Genie "scissor lift". 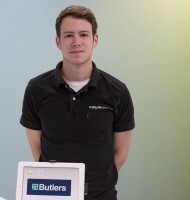 Butlers strives to provide an employee-friendly environment. The company commitment to serving customers and to providing quality services at competitive prices is unwavering. The company policies, procedures and working conditions provide a work environment in which both customer interests and employee interests are served. We value the talents and abilities of our employees and seek to foster an open, co-operative, and dynamic environment in which employees and the company alike can thrive.